A Modern option for breakfast in bed. 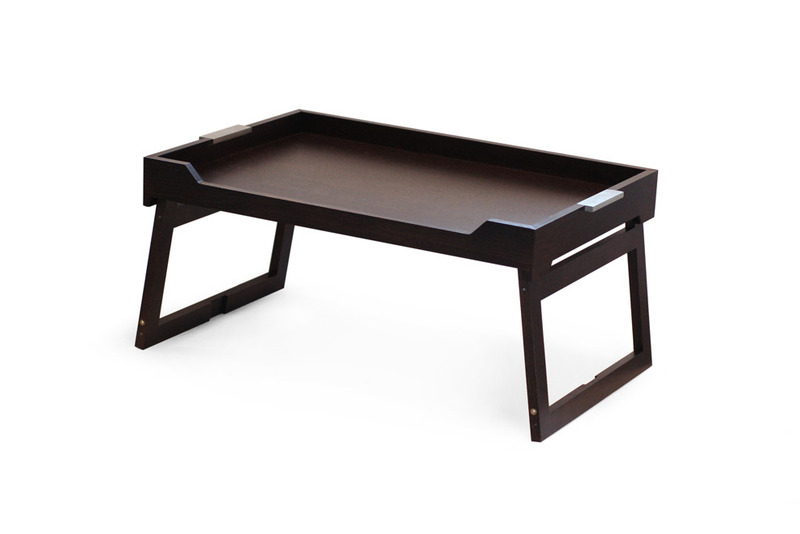 The integrated handles and folding legs combine to provide a light and yet sturdy serving tray that will accommodate both traditional English and Continental breakfasts. Legs engineered to snap open or shut ensuring secure usage.